Twits Guides > Home Improvement > What is the Best Flooring For a Contemporary Conservatory? Conservatories and glass extensions are now available in a range of highly contemporary designs so the traditional choices of flooring are no longer most appropriate. There are now many tiling and flooring options that are part of the design statement of a contemporary conservatory. Choosing the best flooring to suit a new, contemporary conservatory is a critical element of the overall success of the conservatory’s design but it must also be a practical choice so there are a number of factors to consider if the design is to be fit for purpose. For example, will it be used frequently by adults and children who will be using it to access and return from the garden with muddy shoes and boots? Or will it be a dining or kitchen extension so be exposed to a high level of moisture? Will it be a study, music room or simply be an occasional refuge from the rest of the house? Understanding how you will use your new conservatory will influence your decision on which flooring to choose. Natural stone tiles or porcelain tiles are always a good option for an area that needs a hard-wearing floor covering: granite, for example, is very hard and also very attractive, particularly when highly polished. Hard limestone or slate floor tiles are an equally good option but, whilst extremely attractive and durable, natural stone flooring is often not the best choice for a highly contemporary designed conservatory or glass extension because of their natural variations in colour and texture, which are attractive in the right setting such as a more traditional environment. More appropriate to a modern environment are glazed ceramic tiles, porcelain floor tiles or even an engineered wooden floor. Glazed ceramic tiles have the advantage of being available in an enormous variety of colours, patterns and textures so are useful for making an individual design statement. They are also very easy to maintain and are a perfect choice if your conservatory forms part of the kitchen as they are water resistant. As well as being able to enhance your conservatory’s design and being highly practical they are also a more budget-conscious alternative to natural stone or porcelain floor tiles. 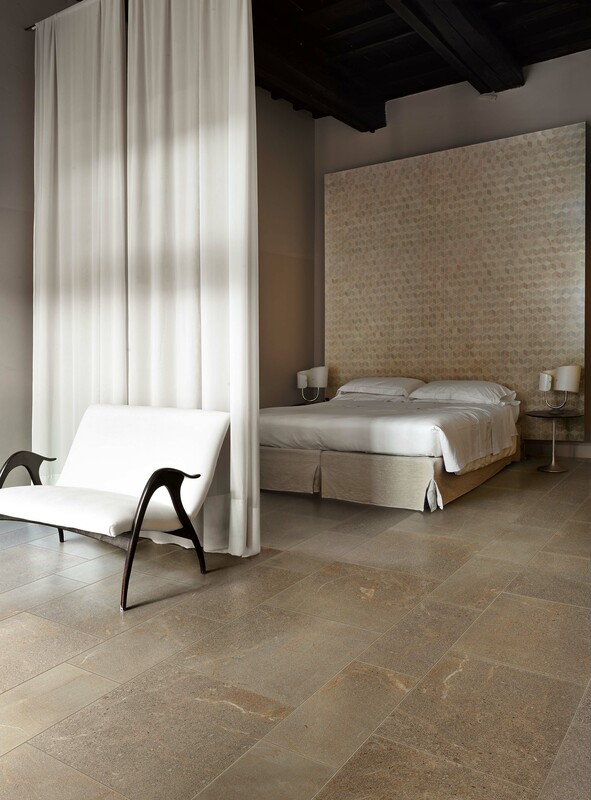 Porcelain floor tiles are, however, the most hard-wearing of all the man-made tiles available – they are, in fact, a type of ceramic tile but undergo a completely different manufacturing process that results in a much more durable tile than regular ceramic. From a practical perspective, they do not need to be sealed, are extremely easy to maintain requiring just an occasional wash with water and a mop and are also highly water resistant. From a design perspective, they are produced in a range of colours and styles even ones with a natural stone effect but without the maintenance requirements. But, perhaps, the greatest advantage of using porcelain tiles in a contemporary conservatory is that they are manufactured in very large sizes so can be used to create an ultra-modern look, especially when used in a high gloss white. Sizes of 1.2 metres x 1.2 metres are commonly available and even larger sizes are available from specialist tile suppliers. Solid wooden flooring is an impractical choice for a conservatory subjected to large variations in temperature or a high level of moisture because of it’s natural tendency to expand and contract under such conditions, but engineered wooden flooring is a good option in a conservatory. Engineered wood flooring is made by fixing a layer of real hardwood on top of a number of other layers such as plywood or high density fibreboard, which strengthens the whole plank and prevents the problems of warping, shrinking and splitting that can be experienced with solid wood and yet it still has the attractive appearance of real wood. So engineered wooden flooring, natural stone floor tiles or ceramic tiles are all good options but perhaps the best option will always be porcelain floor tiles. They are perfect for the flooring in a contemporary conservatory both from a design aspect and from a practical aspect. 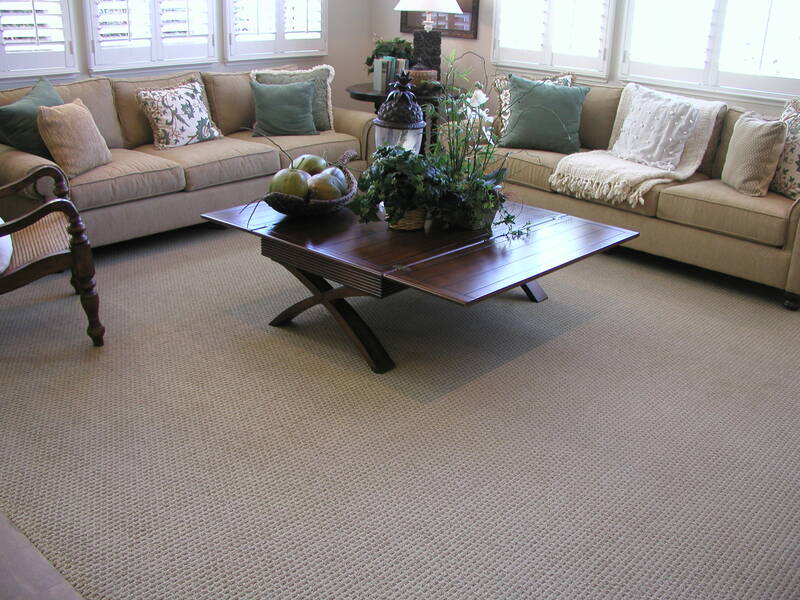 The flooring needs to suit the type of furnishings in any room – just the same in a conservatory. But in a conservatory you need to think about the sun and extreme heat – engineered wood floor can work if the space is part of the home and used as extra living space. If you have a pet dog and the conservatory is the place it runs through to get in an out of the garden then, clearly, a wooden flooring will not stand the test of time. Think of the mud and wet and scratches from you pets claws. It just isn’t practical – a conservatory needs a super hardwearing floor like porcelain tiles. Like most everything else in life, it depends on the individual and their precise preferences, to have the ability to answer which is the very best flooring depends on individual tastes. There is no one right answer or wrong answer. Some people use their conservatory as a garden extension – they come in with muddy boots and garden tools and plants so they need a really tough tiled floor. Other use it as an extention of their home where they relax with a good book on a warn afternoon. They want it to be more cosy with armchairs and rugs so a wooden flooring would be right in that sort of environment.